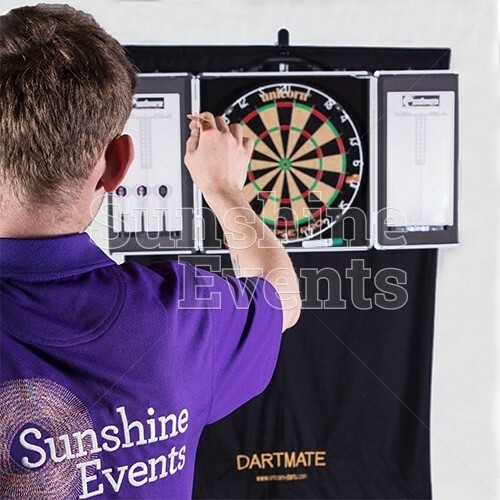 Join the ranks of the best Darts players in the world: Eric Bristow, Phil ‘The Power’ Taylor, even Jocky Wilson, by hiring the amazing Darts Hire from Sunshine Events. 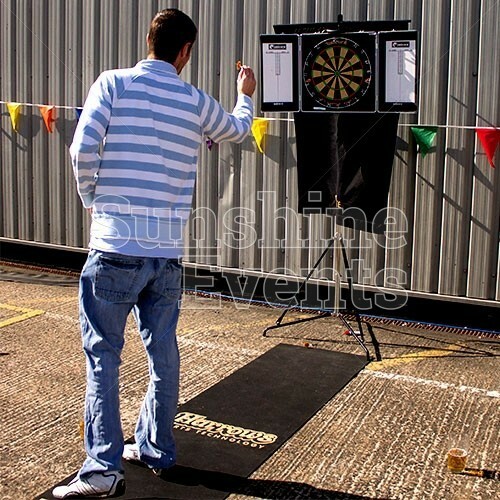 Once you start throwing those metal tipped darts you’ll soon find out why this game is such a popular game in pubs around the UK. 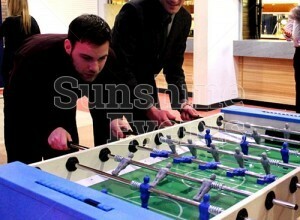 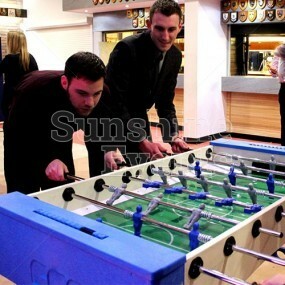 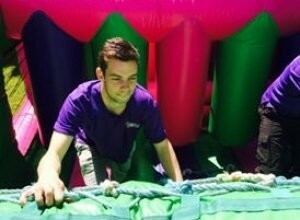 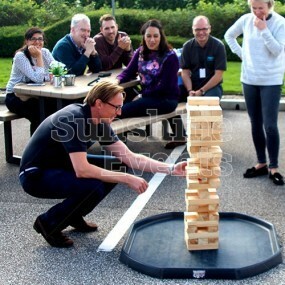 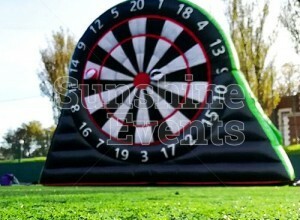 But of course, there’s no need to head to the White Lion as we can bring the game right to your event! 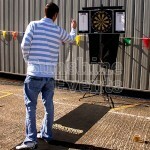 Over the years, the highly addictive darts has become an intriguing and genuinely enthralling sport. 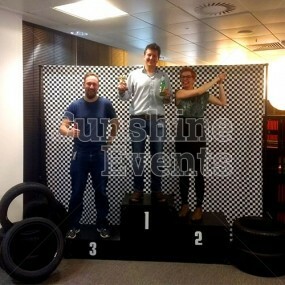 You can't deny the fun that comes with the competition of trying to best your competitor and score 180. 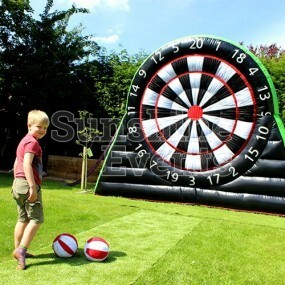 Whether you're playing for fun with games such as 'round the clock' or showing off some skill by hitting the bull, Darts is sure to attract all ages at your event and keep them entertained throughout. 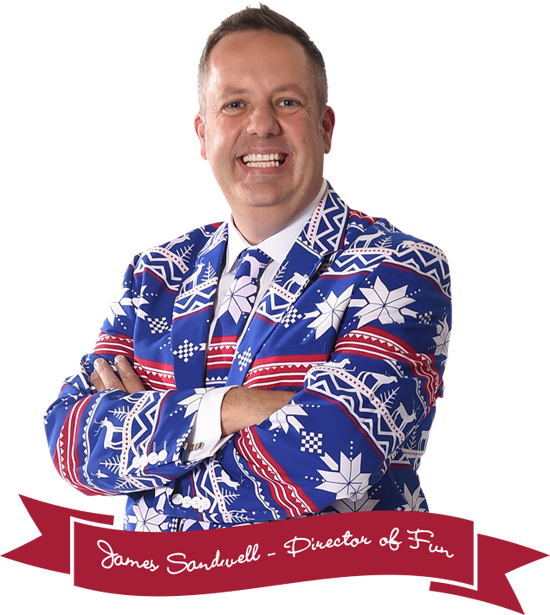 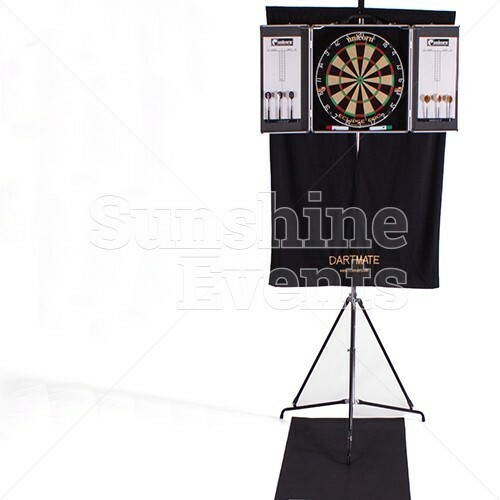 We’ll ensure that you have everything you need: a selection of professional standard darts, scoresheets, the oche (that’s the bit you stand on) and a fabric backdrop to ensure that any darts that miss their target don’t fly too far behind (and into the wall!). 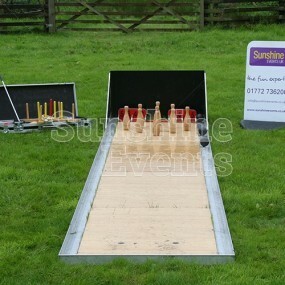 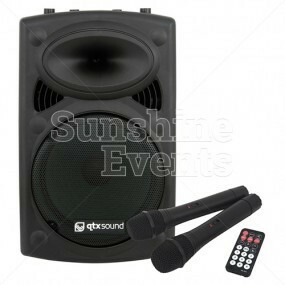 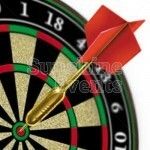 What events are the Darts Hire suitable for? 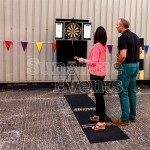 The traditional game of darts is such a popular image in pubs, that it’s become an activity that is often hired at event where guests are invited to relax after the working day. 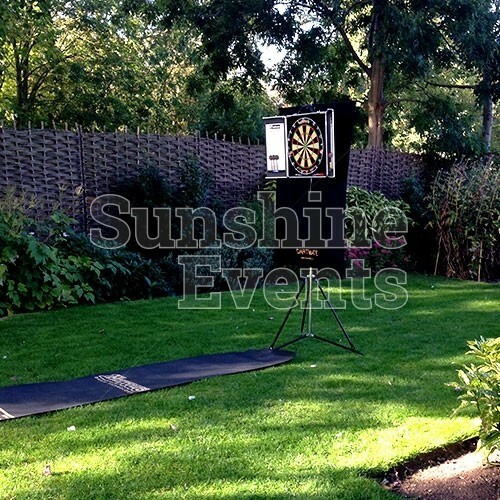 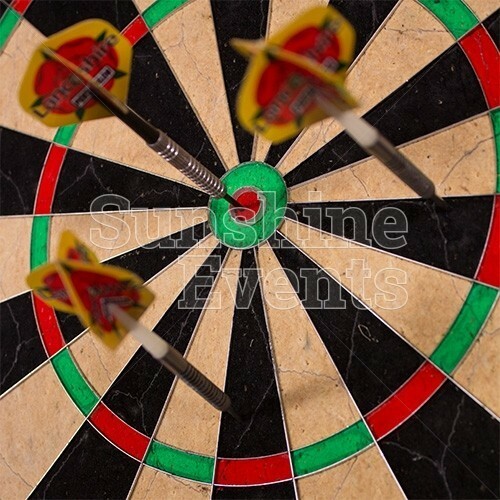 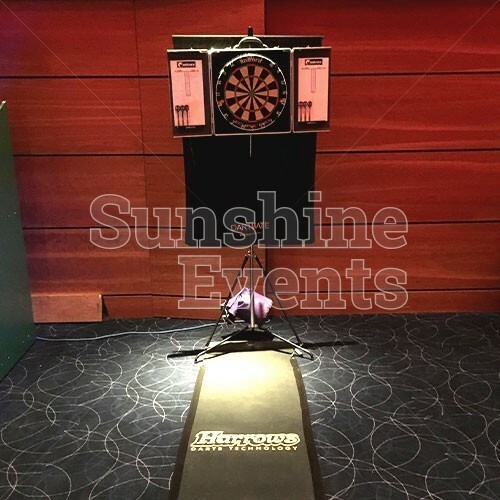 So, step up to the oche and make sure your aim is good when you hire the Darts from Sunshine Events: give the Fun Experts a call today and you’ll be sure to score 180! 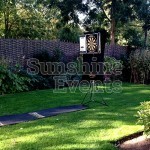 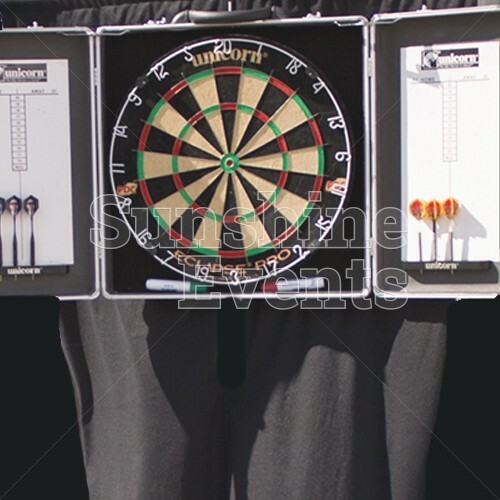 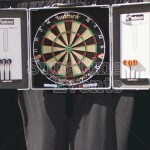 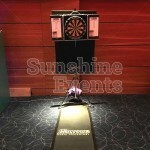 Darts Hire has been added to your Event Quote.